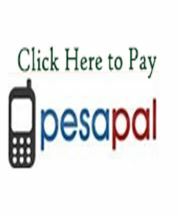 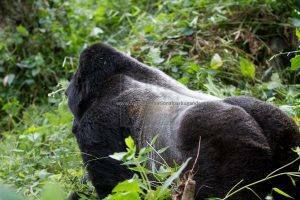 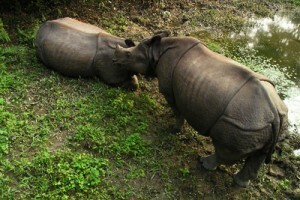 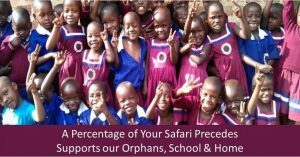 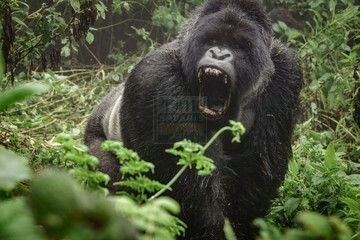 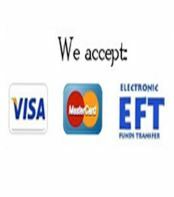 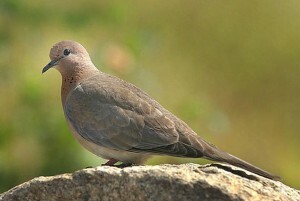 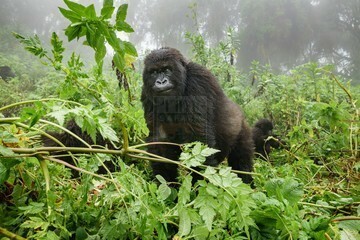 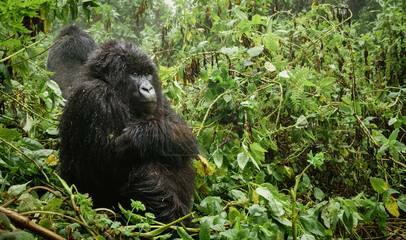 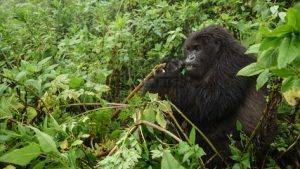 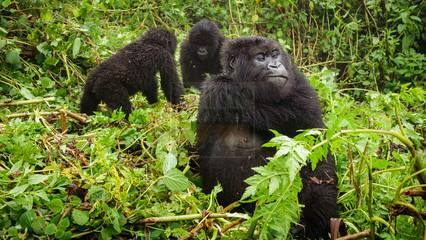 Uganda Gorilla Trekking Safaris, Uganda Gorilla Safaris, Uganda Gorilla Tours. 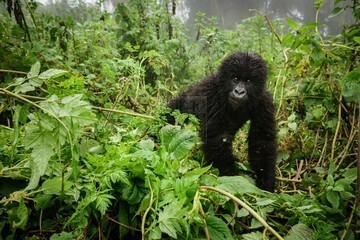 Uganda is gifted with the biggest populations of the critically endangered Mountain Gorillas in Bwindi Impenetrable Forest National Park above 880 and thus suitable for the memorable experience of Gorilla trekking in Uganda. 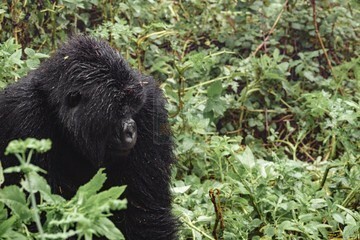 Apart from undertaking Uganda safaris to view wildgame, Uganda is one of the three countries in the world gifted with populations of the critically endangered mountain gorillas and thus suitable for the memorable experience of gorilla trekking in Uganda.In fact Bwindi Impenetrable National Park has got 400 out of 880 mountain gorillas that are apparently thriving in the wild with none known to be existing in captivity. 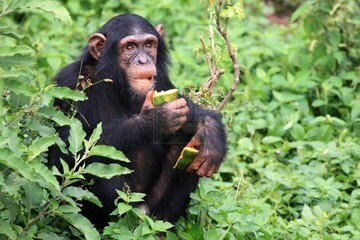 The blend of chimpanzee trekking in the primate capital of the world – Kibale National Park along with other tropical rain forests of Kalinzu and Budongo not forgetting the green lush forest in Kyambura gorge thriving below sea level make Uganda safaris remarkable. 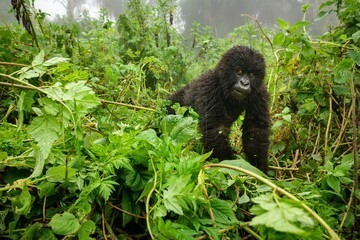 Gorilla trekking Safaris in Uganda-the close to a half of the critically endangered mountain gorillas thriving in her two protected habitats of Bwindi Impenetrable National Park and Mgahinga Gorilla National Park. 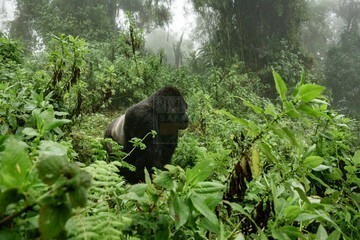 Gorilla trekking safaris in Uganda take place in these two dense equatorial forests and Gorilla safaris & Tours can commence from Rwanda Kigali or Kampala direct to the Parks or as part of wider Uganda safaris connecting from other destinations like Queen Elizabeth or Lake Mburo National Parks. 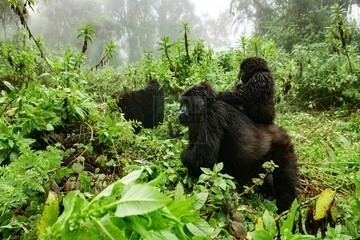 The travellers can also connect from Kigali Rwanda or Volcanoes National Park for those interested in double gorilla trekking encounter. 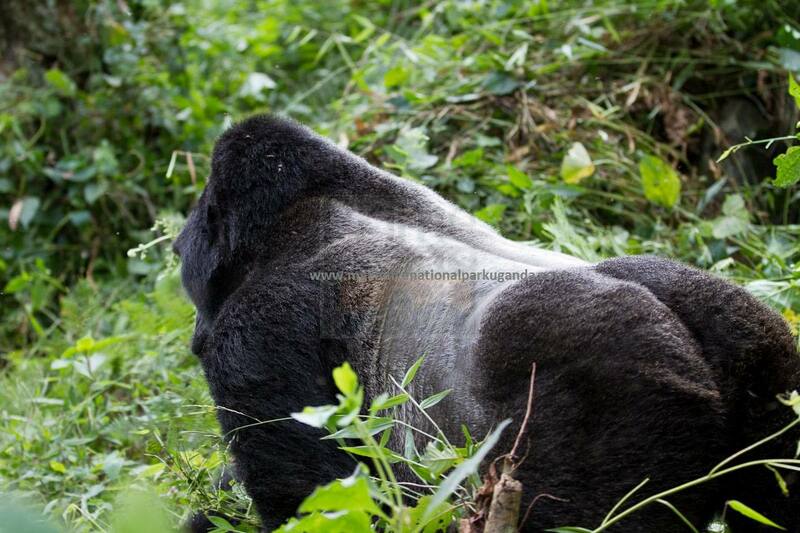 The 4 Days Bwindi Gorilla trek and Lake Mburo wildlife safari is a perfect blend of Lake Mburo National Park and Bwindi Impenetrable National Park. The 5 Days Uganda gorilla tour and wildlife safari takes you through the National Parks of Lake Mburo, Bwindi and Queen Elizabeth. 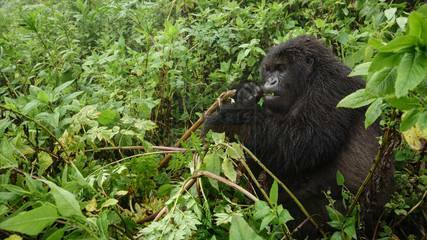 The 6 Days Gorilla tracking and Wildlife Safari in Uganda or 6 Days wildlife tour Uganda Gorilla trekking safari Bwindi Impenetrable Park is a wildlife tour to Queen Elizabeth National Park and Bwindi Impenetrable National Park Gorilla trekking safari in Uganda. 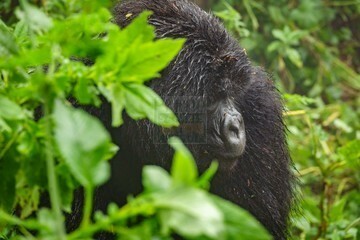 Your 9 Days Adventure Tour Uganda Gorilla Trekking Safaris will expose you to different parks for gorilla tracking, chimpanzee trekking, boat cruise, game drive, nature walks and you will see different animals during your safari.